William Rothenstein was born in Bradford in 1872 into an assimilated German-Jewish family. In 1888, at the age of sixteen, he attended the Slade School of Fine Art in London, but, upon the advice of Jewish Royal Academician Solomon J Solomon, completed his studies in Paris (1889-92), exhibiting in the city (1892) and making a lasting contact with Edgar Degas. 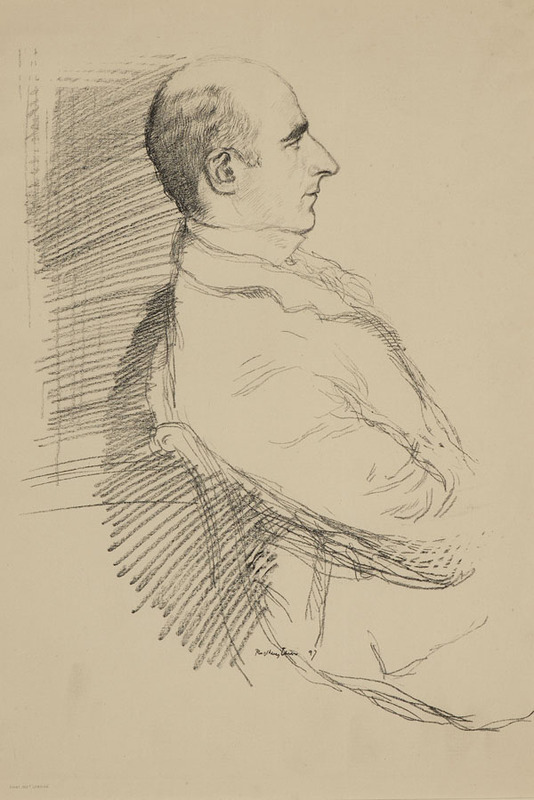 Upon his return he exhibited with the New English Art Club and in 1898 co-founded the Carfax Gallery. Between 1903 and 1906 he carried out an important series of works on Jewish subjects, observed in the East End of London. An artist, critic, teacher, writer, lecturer, prominent member of artistic societies, adviser and official war artist in both world wars, he was also an important friend and mentor to many other artists including several of the 'Whitechapel Boys'. 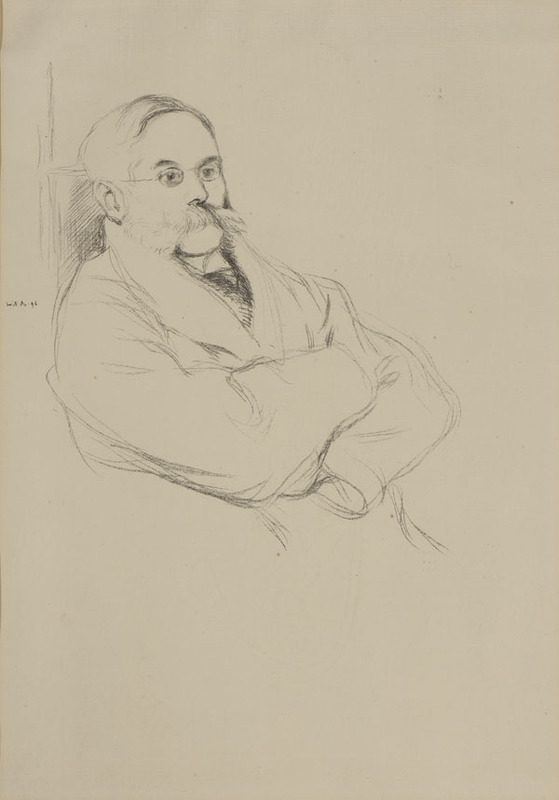 In 1919 he was appointed Visitor to the Royal College of Art, becoming Principal (1920-35). He was knighted in 1931 and also served as a war artist in the Second World War, dying at his home at Far Oakridge, Gloucestershire in February 1945. Rothenstein’s earliest interaction with the ‘Ben Uri Arts Society’ was in 1922, when he gave a lecture at the Whitechapel Gallery. His work was exhibited at Ben Uri on several occasions including the 'Coronation Exhibition of Paintings and Sculpture' (1953) and 'The Ben Uri Story from Art Society to Museum' (2001). 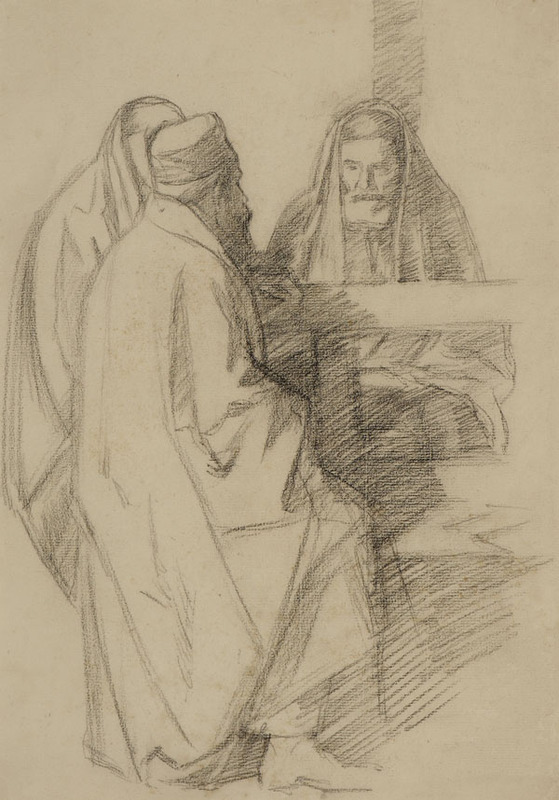 In 2015, building upon Bradford Museum and Gallery’s retrospective 'Sir William Rothenstein: from Bradford to Benares', the Ben Uri mounted the exhibition 'Rothenstein’s Relevance' examining his reach and influence upon a selection of (mostly younger) peers including Alfred Wolmark, Mark Gertler, Jacob Kramer, Albert Rutherston, Eric Kennington and Barnett Freedman.